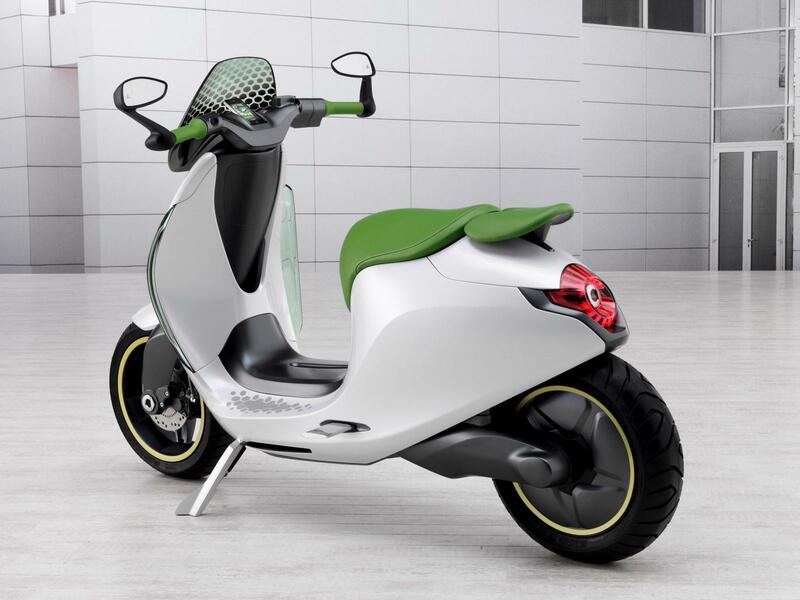 The 2010 Paris Motor Show saw several scooter concepts from well-known automotive manufacturers. From MINI came the Scooter E concept (which actually inspired this very website), and from Smart, the eScooter concept. While neither were too clever in the naming, both companies brought something really interesting with them to Paris. Since then, scooter fans have wondered when these machines might come to market. While word is still out on MINI’s Scooter E, Smart has announced that their eScooter concept will indeed see production. As we have previously reported, the concept featured a 48-volt lithium-ion battery which powered a 4 kW (5 hp / 5 PS) electric wheel hub motor. 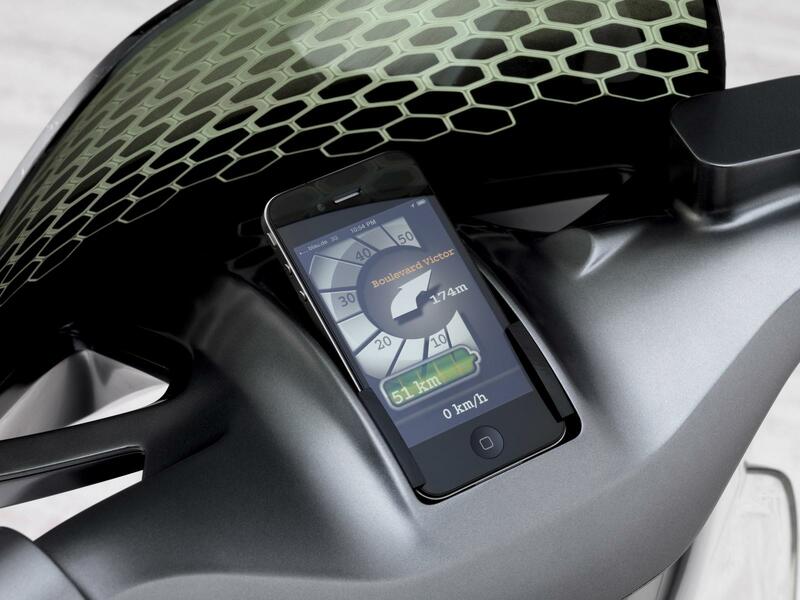 This enabled the escooter to travel up to 100 km (62 miles) at speeds up to 45 km/h (30 mph). While the all-electric drivetrain is pretty nifty, the moped-scale performance leaves me wanting. I would hope that the two years that have passed since the original concept was penned would drive Smart to take a fresh look at the state of the art in battery and motor technologies. With electric motorcycle/scooter companies like Evolve and Vectrix offering both better range and higher speeds, is the Smart eScooter too little too late? Pricing has yet to be announced, but I wouldn’t expect it to be much of a bargain. If it’s half as tech-heavy and style conscious as the eScooter concept, that’ll come at a tall price, and that’s if it comes at all. Smart hasn’t been on strong financial footing, well, ever. They’re having a tough enough time selling their cars, so the R&D investment it would take to produce even a mediocre production electric scooter seems ripe for budget cuts, even if it is green-lit for the moment. I hope it happens, but color me skeptical. I’ll believe it when I see it. Previous articleThe Official ScooterFile Scooter! MINI confirms Scooter E just a concept. No production plans. The 2010 Paris Motor Show was a big event for scooter lovers and gadget nerds alike. 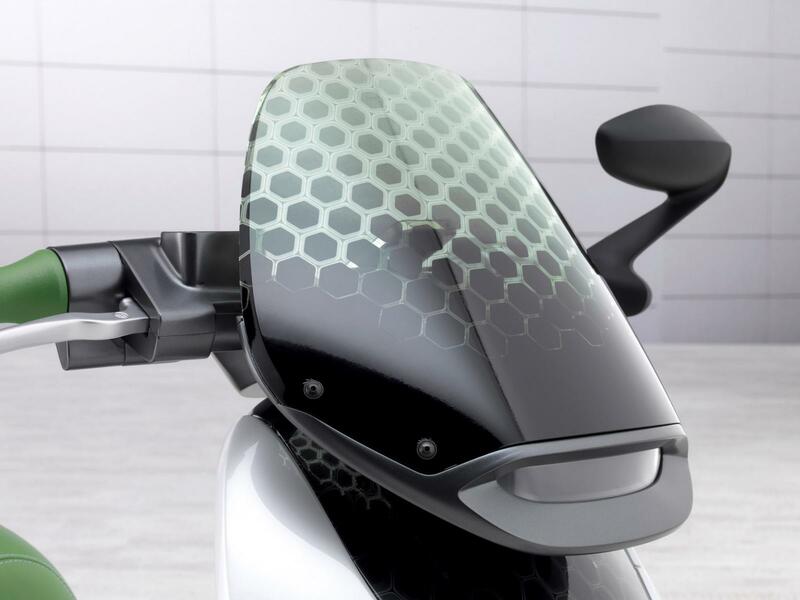 It saw a number of futuristic design explorations, and two in particular were of note for scooter fans. Auto makers Smart and MINI each came to the show with a small-frame scooter concept. Both machines were electric, both were futuristic in their design, and both inspired considerable enthusiasm from fans of their respective brands.